John is best known as the "Smoot" half of Mump & Smoot, along with Michael Kennard ("Mump"). This award winning Canadian clown duo has delighted audiences throughout North America for the past thirty years. After three sold out Fringe Festival tours in 1989, 1990, and 1992, Mump & Smoot went on to play regional theatres across the continent with great success. These theatres include the Astor Place Theater (Off Broadway), Yale Repertory Theater, the La Jolla Playhouse, the Dallas Theater Center, the American Repertory Theater (Boston), Baltimore Center Stage, the Canadian Stage in Toronto, Alberta Theatre Projects in Calgary, and the Vancouver East Cultural Centre to name but a few. John began teaching the Pochinko style of clown in 1991 at Equity Showcase in Toronto. He taught there for 7 years before opening his own studio, The SPACE, with Michael Kennard where he continued to teach, direct, and work on Mump & Smoot shows for the next 6 years. He currently teaches primarily throughout the summer on his farm on Manitoulin Island. He also has had ongoing teaching gigs at Laurentian University in the Francophone drama programme (11 years), the Centre for Indigenous Theatre (6 years) and the De-ba-jeh-mu-jig Theatre Company (5 years). Other teaching stints have included the Yale School of Drama Graduate Program where he was an associate artist for seven years, Centre for Addiction and Mental Health (Workman Theatre Project), the University of Tel Aviv, the University of Calgary, Bishops University, the University of Guelph, California State University, Michigan Tech, the Humber Comedy Centre and the Stratford Festival. John is also the director of Karen Hines' Citizen Pochsy, one of the acclaimed trilogy of Pochsy Plays on which John has collaborated for over a decade, (finalist for the Governor General's Award for Drama). Other directing credits include Jennifer Dallas's Dora Award winning Kittly-Bender, Sandrine Lafond's Little Lady, Michael Kennard's Puzzle Me Red, Miriam Cusson and Mélissa Rockburn's Stuff, Diana Kolpak's Lionheart, Emelia Symington Fedy's Patti Fedy in Lovers Rock. 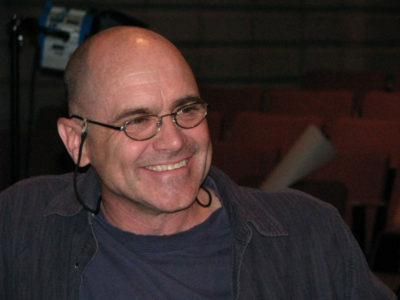 For the De-ba-jeh-mu-jig Theatre Group, John directed the workshop and full production of The Gulch, as well as Tomson Highway's A Trickster Tale. John also directed Clown & Such… at the Centre for Indigenous Theatre, Louis Negin's The Boy Scouts' Manual, and Linda Brokenshire's The Lecture and The Hero. Along with his long time partner and collaborator Michael Kennard, John has used his extensive performance and show creation experience to create more advanced workshops specifically designed for the student that wishes to use this work in a professional capacity. Some are performance oriented and some are creation oriented but there are as many reasons for taking them as there are students.